More than ever, it is important to have a supplier that understands the specific needs of the food processing industry. At Central States Industrial (CSI), our experience serving this field means we know how to help you with a variety of processed food systems and applications. From sauces and spreads to meats and nut butters, we understand the unique nature of each process. Our sales team, customer service representatives, craftspeople, and engineers are equipped with the knowledge and desire to help you with your fluid processing challenges. 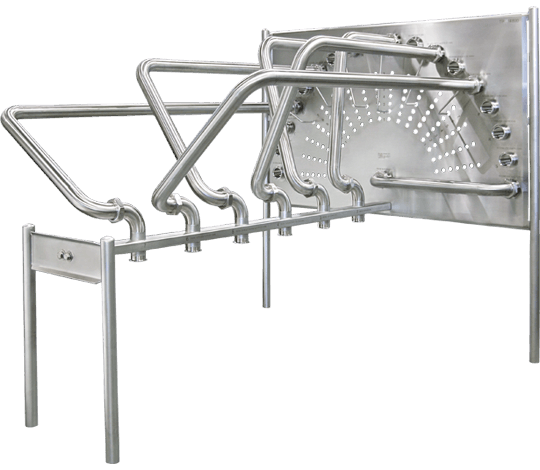 Dairy products are vulnerable to spoilage & rapid growth of bacteria, making clean-in-place (CIP) essential to cost-efficient sanitary operations. It is crucial for companies to determine the right material for their process initially to avoid costly downtime and replacement parts/labor. CSI helps eliminate a food manufactures issues with IBC totes through pump selection and a CSI tote unloading system. A customer needed an installation completed in a very short window of time, so CSI decided to standardize and convert the system to a module or skid. 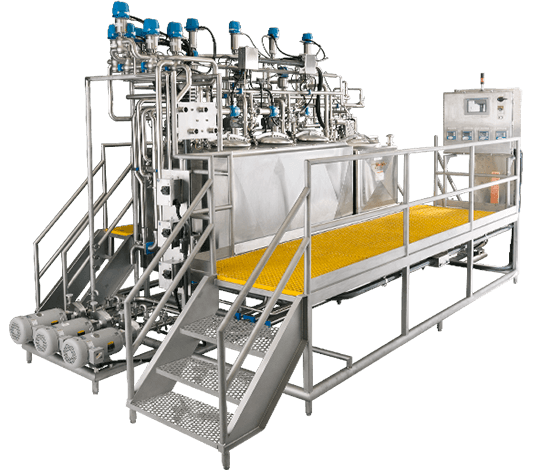 A global supplier of packaged food and beverage, was in need of high capacity transfer panels to direct water and cleaning solution to various lines. 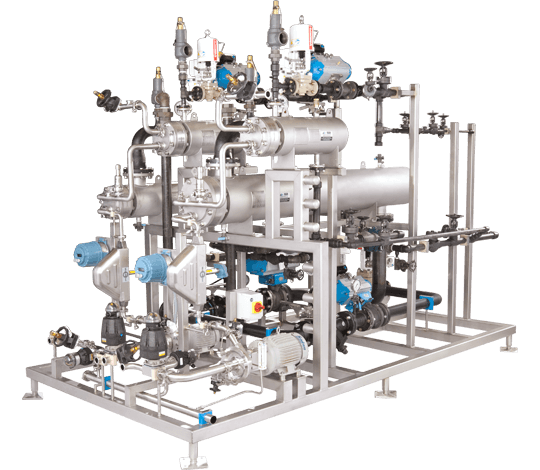 CSI ships skid-mounted process systems on time, on budget, pre-tested, and ready for utility hook-up to avoid costly down time. CSI offers both sanitary and utility hot water sets with a variety of options to meet your needs for a clean, stainless hot water system. 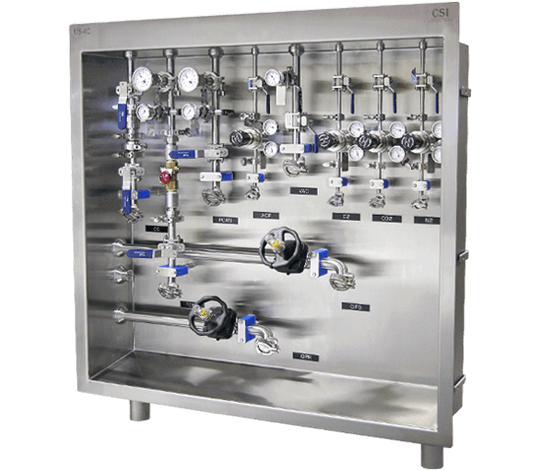 Transfer panels provide a secure, clean, and effective method for directing fluid flow during production or cleaning. Utility stations provide point-of-use connections for clean steam, condensate, process gases, CIP, chilled water or glycol, and WFI. 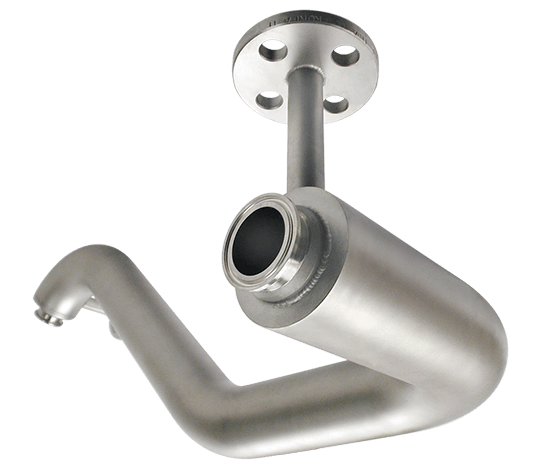 Holding tubes create a fixed volume of tubing to "hold" a product for a set period of time at a given flow rate. 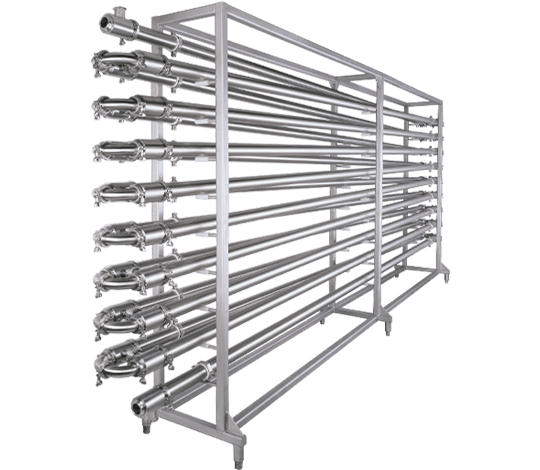 Jacketed tubing provides a consistent, controlled temperature that is not achievable with insulation or traditional pipe heating methods. 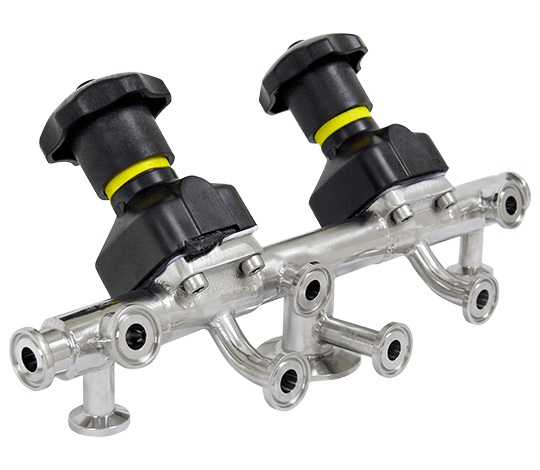 As experienced fabricators of valve manifolds, CSI identifies and understands the critical issues that go into the fabrication process. 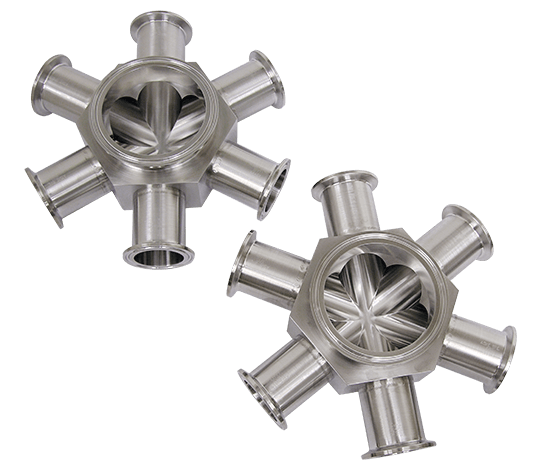 CSI's valve modification designs start with standard OEM replacement parts. Next, our designers create drawings before your valve goes to fabrication. 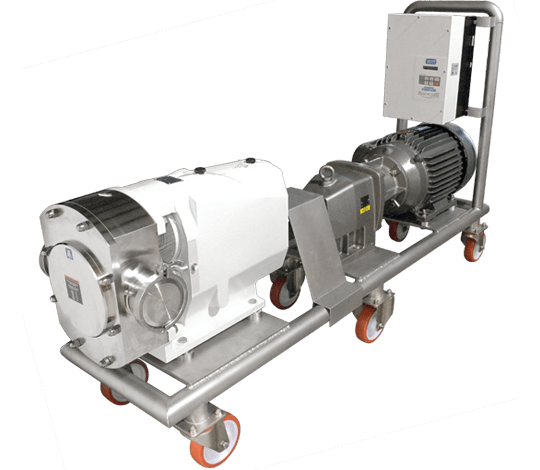 Make mobile pumping easy with CSI's standard stainless pump carts. We can build your pump cart to your specifications or design a custom unit.